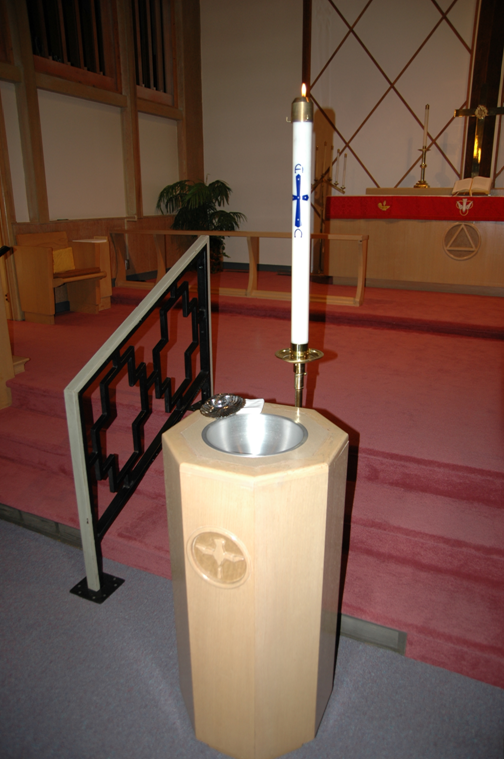 Please note: Faith Lutheran Church practices CLOSED COMMUNION. Holy Communion is the true body and blood of our Lord Jesus Christ under the bread and wine, for us Christians to eat and to drink, instituted by Christ Himself. In this Sacrament, those who eat and drink worthily receive the forgiveness of sins, life and salvation. [See Matt. 26:26-28; Mark 14:22-24; Luke 22:19; 1 Corinthians 11:23-25] Further, those who commune at the Lord’s altar are also making a public confession that they are in full agreement in all articles of the Gospel as are believed, taught and confessed from this pulpit and altar, and that they are in fellowship with the Lutheran Church-Missouri Synod. If you are not a member of this congregation, or a sister congregation of the Lutheran Church-Missouri Synod, we kindly ask you to arrange time to speak with Pastor Neustel. If you are a member of the Lutheran Church Missouri Synod, we ask that you announce your presence to the Elder on duty, or Pastor Neustel. 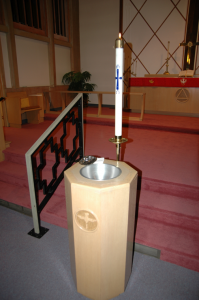 The practice of Closed Communion is the historic practice of the Lutheran Church, and throughout the history of the Christian Church. We do not wish by this practice to offend Christian people who are not Lutheran, but to faithfully adhere to Scripture. The doctrine and practice of Closed Communion which God’s Word teaches and which we hold dear, is borne out of love and concern for our visitors, that they may receive The Lord’s Supper to their blessing and not to their judgment. If you are looking for a church to join, please visit with Pastor Neustel. AIC (Adult Instruction Class) is offered periodically.